Not only is it important to seek a skilled and experienced injector, it’s also essential to be aware of your options in case results aren’t exactly what you expected. 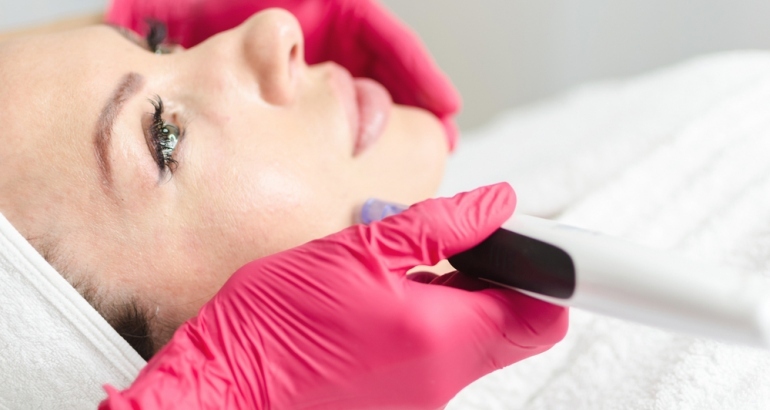 In this blog article, we answer the frequently asked question: Are dermal fillers permanent? Many of today’s dermal fillers are comprised of hyaluronic acid, which is a sugar that’s naturally found in your skin. This substance is extremely hydrophilic and readily absorbs moisture like a sponge. In fact, hyaluronic acid can hold up to 1000 times its weight in water, which makes it an excellent plumping and hydrating agent. If you are being treated with a hyaluronic acid filler, injection effects can typically be reversed with an enzyme called Vitrase. When injected into soft tissue, Vitrase is able to fully dissolve a hyaluronic acid gel or partially remove it in order to achieve desired outcomes. Which Dermal Fillers Can Be Reversed? Restylane, Juvederm, and Belotero are all hyaluronic acid fillers that can be reversed if necessary. The Restylane line of products includes Restylane, Restylane Lyft, Restylane Silk, Restylane Refyne, and Restylane Defyne. The Juvederm family of injectables includes Juvederm XC, Juvederm Ultra XC, Juvederm Voluma, Juvederm Volbella, and Juvederm Vollure XC. Which Dermal Filers Are Permanent? When discussing which dermal fillers are permanent, it’s important to note that we are referring to their potential for reversal, rather than longevity of results. That being said, Sculptra and Radiesse are two dermal fillers that are known as collagen stimulators. They are often recommended for significant volume loss and injected deep into tissue. Neither product is comprised of hyaluronic acid, meaning that they cannot be reversed or dissolved using Vitrase. In this sense, Sculptra (made of poly-L-lactic acid) and Radiesse, (made of calcium-based microspheres) are permanent. Nevertheless, Sculptra and Radiesse results gradually fade within one-to-two years, and their effects are not everlasting. If you are considering dermal fillers and would like additional information about which dermal fillers are permanent and which are reversible, please call our office today to schedule a comprehensive consultation with Dr. Lian Mack.